The Fiat 500 is a small two-door hatchback and marked the return for the Italian automaker in the U.S. when it arrived in 2012. 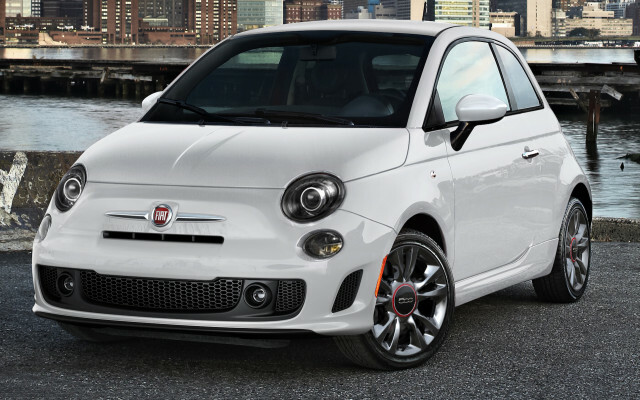 With the 500, Fiat offers a range of models, everything from a convertible-esque 500C to an electric 500e, to a turbocharged hatchback, to the hot Abarth performance edition. In following years, Fiat has offered other 500 models that bear little to no resemblance to the original 500. The 500X is the automaker's crossover that's shares more similarities with the Jeep Renegade than the original 500, and a 500L is a tall wagon-shaped hatchback that's unrelated to any other car in the portfolio. For 2018, Fiat made standard a 1.4-liter turbo-4 that makes 135 horsepower on base models that replaced the 100-hp, naturally aspirated version. For 2019, all Fiat 500 hatchbacks and cabriolets received 16-inch wheels, body-color front and rear fascias, performance brakes and suspension, fog lamps, and a “Turbo” badge. A new 500 is in the works, and some reports suggest the lineup will move to an electric-only powertrain. The Fiat 500 that went on sale in the 2012 model year was the first vehicle from the combined global maker now known as Fiat Chrysler Automobiles. 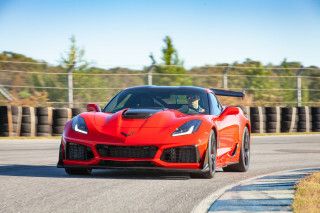 It is built in Mexico, using small 4-cylinder engines manufactured in Michigan. Like the Mini Cooper it competes with, the Fiat 500 hearkens back to a beloved national automotive icon from the 1960s. In this case, it’s the Fiat 500 that was built from 1957 to 1975. And like the Mini Cooper, the new model is larger, faster, far better equipped, and immeasurably safer. The Fiat 500 is not, in other words, a competitor for econobox models like the Hyundai Accent or Toyota Yaris; it’s a lifestyle choice, a style accessory that also happens to be fun to drive and easy to park in crowded urban areas. 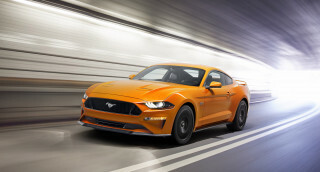 All gas-powered 500 models used 1.4-liter 4-cylinder engines that Fiat built in North America; they're shared with a growing array of new models from Dodge and Jeep. Fuel economy figures were 31 mpg city, 40 mpg highway—similar to those for the Mini Cooper. In early drives of the 500, we found the steering to be particularly enjoyable and lively, although straight-line performance was lackluster in the base model and a cramped interior plus big doses of engine and road noise dulled enthusiasm somewhat. Driver ergonomics are particularly peculiar in this car, with few able to get completely comfortable with the oddly placed pedals and steering column. The three-door hatchback was later joined by more variants. The Cabrio, a convertible of sorts with a roll-back cloth roof, retains the sides of the hatchback. An Abarth hot-rod can be had in either hatch or Cabrio form. To please those in the middle, Fiat also added a 500T model, which uses a toned-down turbocharged engine that's not as nutty as the Abarth, but offers better acceleration than the standard 500. 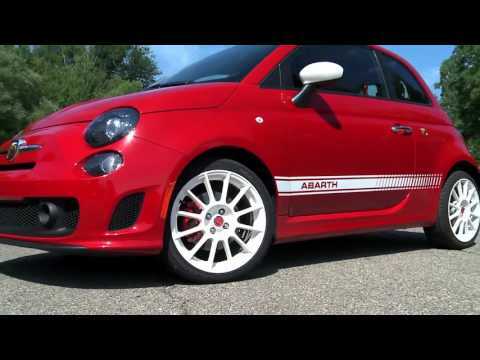 As it did years ago, the Abarth model represents the hot-hatch option in the Fiat 500 lineup. Positioned to keep up with the Mini Cooper S, the Abarth offers a turbo-4 making 160 hp, as well as frequency-selective Koni dampers and 16-inch wheels and other dynamic upgrades. There are also styling differences for the most potent 500, including extra air inlets, scorpion badging, and several available stripe packages. The Abarth is characterized by a throaty exhaust and tight, nimble driving behavior, making it fun on a back road or just ripping through traffic. For buyers who want Abarth performance in a more subtle package—no dressy body add-ons or scorpion badges—the 500T model used a 135-hp version of its turbocharged engine in an incognito wrapper. The Turbo is given away by a small opening in the front fascia, almost like a slit for a cartoon car's mouth, which feeds air to the intercooler. 500 Turbos ride better than the Abarth, and are altogether more relaxed in their handling, but still offer adequate power to charge on-ramps. You can get a few more features in the Fiat 500 than you'll find in most other small cars, like leather heated seats and rear parking sensors, and there are some 500,000 different build combinations thanks to plenty of possibilities for trims, colors, and accessories. The basic Fiat 500 three-door hatchback is available in five trim levels: Pop, Easy, Sport, Lounge, and Gucci; Convertible models are only offered in Pop, Easy, and Lounge trims. In 2013, Fiat added the 500e electric car. It's sold only in small numbers—and only in California and Oregon. That's because it's a "compliance car" required for Fiat Chrysler to meet California's zero-emission vehicle regulations. 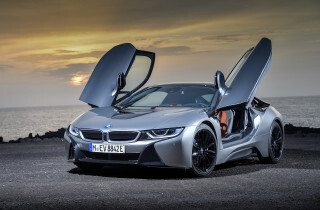 That's a shame, because it's fun to drive and perhaps the best-handling of all the electric car conversions produced by major automakers. Few changes were made to the Fiat 500 for 2014 or 2015. 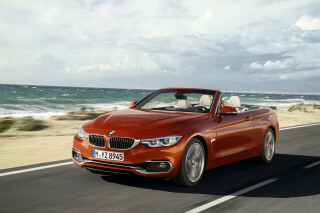 The 2015 model was available in several special editions, including the extra-retro 1957 Edition offered in hatchback or cabrio (convertible) versions. It's a nicely done throwback, offered in pastels and sweating the details down to the '50s-era Fiat logo on the nose and the dog-dish-style wheel finishers—as well as Cattiva, GQ, and Gucci models. For 2016, Fiat added a new trim level above Pop, dubbed Easy, which includes cloth buckets and the UConnect 5.0 stereo. 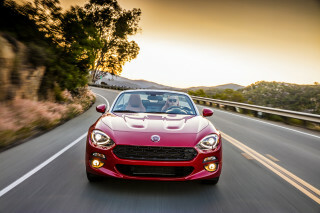 But for 2017, it simplified the model lineup back down into three trim levels—base Pop, feature-rich Lounge, and sporty Abarth—each offered as a three-door 500 hatchback or a two-door 500c Cabrio. Bang for your buck fun! Just bought a used Fiat convertible. What a fun car! Neat retro styling, small yet has 4 seats. Convertible top rides in rails so you can open and close it while driving at up to 55mph! Wonderful exhaust note... Just bought a used Fiat convertible. What a fun car! Neat retro styling, small yet has 4 seats. Convertible top rides in rails so you can open and close it while driving at up to 55mph! Wonderful exhaust note while accelerating. Seats are very supportive, height of car gives good visibility.